Although it is fairly uncommon to find a baby wild animal without its mother, there are some situations in which people will encounter a young animal, and in this situation it can be difficult to decide what action to take. This kind of situation can arise if the baby animal has wandered off while its mother is sleeping or is out hunting for food, while in other situations the young animal may have been orphaned or forcibly separated from its mother. The survival rates for animals that are cared for by people can vary depending on how young the animal is and the species, so it is important to take the right action to give the baby wild animal the best chance of survival. Can You Care For The Animal Yourself? The simple fact of survival is that the majority of baby animals will struggle to survive if they are separated from their mother, and despite the best of intentions most people will not have the facilities to look after baby animals. They will also have quite complicated nutritional needs, which can also vary from species to species, and finding a suitable replacement for a mother's milk is not always something that is easy to do. A baby wild animal is also very sensitive to temperature, which again makes it difficult to look after the animal yourself, so in most cases, the individuals who find the baby wild animal will not be in a position to care for it. Carry out a visual inspection of the animal from a safe distance. If it looks as though it is in distress then this might be a cause for concern, but in some cases it will simply have wandered away from the nest. If this appears to be the case, then back away to a safe distance as the mother will often be in the vicinity, and may become aggressive if she sees that you are interfering with her young. Where possible, it is best to give the mother as much time as possible, at least several hours to see if the mother recovers her young before you intervene. If it is clear that there is no hope of the mother recovering the baby animal, you should then prepare a shoebox, with a warm hot water bottle covered in a towel to keep the animal warm, and then gently place the animal in the box while wearing gloves. This will give you some time to find a specialist who may be able to help. Should You Feed The Baby Wild Animal? When you are in a situation where the animal cannot be easily taken to a specialist, the first order of the day will be to warm the animal, and once it is at body temperature you should try to use a dehydration solution such as Pedialyte, which can be found in many drug stores. This should be offered to the baby every thirty minutes until it urinates freely when stimulated. For animals such as squirrels, puppy replacement milk such as Esbilac, or kitten milk replacement can be used to replace the mother's milk, and can be gradually introduced to replace the re-hydration solution. Newborn animals need to be kept quite warm, otherwise they can suffer with other conditions, so it is important to make sure that they are kept in a warm area, with a heating pad covered with a towel being a good spot on which to keep the animal's box. The bedding for the baby animal is usually a kind of soft cloth or flannel, although try to avoid terry cloth, as this material can catch in their delicate paws. Injuries can significantly harm the animal's chances of survival, so if you do find a baby wild animal it is best to check to see if there are any visible injuries. Many animals that are found in the open will have fallen from a tree or a nest, while some may have received cuts from other animals. 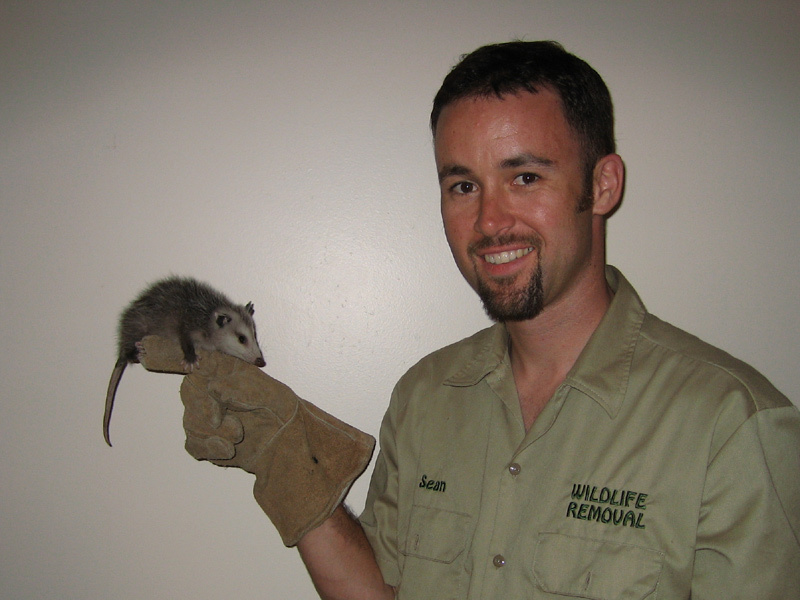 If this is the case, you should still try to contact the wildlife rehabilitator, but in most cases they will advise that the animal should be put down, as it is challenging enough to raise a healthy baby wild animal. To give the baby wild animal that you have found the best possible chance of survival once it has been recovered, getting the animal to a wildlife rehabilitator will be very important. These people will have the relevant training to know what the different species will need as they grow, and they will also be familiar with welfare techniques and whether or not the animals will be able to be reintroduced into the wild. When transporting the animal, it is best to carry it in the box, with a fresh warm hot water bottle to keep the baby animal cozy as you take it to the specialist. Go back to the main How to Get Rid of Wild Animals page for more information about animal trapping and information about HI HEADING.